Anemia is a condition that affects millions of Americans every year and it implies a lower number of red blood cells than usual. Since red cells are crucial for carrying oxygen to your organs, this often results in a shortage of oxygen to vital organism parts. Therefore, some common symptoms of anemia include fatigue, pale skin, heavy breathing, chest pain, dizziness, and others. In order to keep anemia under control, it’s necessary to follow proper medication. However, we also recommend turning to natural and safe home remedies for anemia that can greatly boost the effects of your existing medication, allowing for better control over the condition and an alleviation of the symptoms. 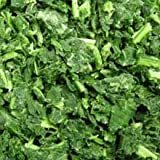 Spinach, as well as other leafy green vegetables, is rich in iron and vitamin B12 among other nutrients. These compounds are excellent energy boosters, something that people suffering from anemia truly need. A diet that consists of regular consumption of spinach is essential for people suffering from anemia. Spinach can also be successfully used as a home remedy for constipation. Clean 1 cup of blanched spinach. Add a little bit of water and puree it. Add 1 teaspoon of olive oil to a heated pan. Sauté around 2 cloves of chopped garlic and around 1/4 of an onion in the heated pan. Add the spinach in the pan when the garlic and onion have turned brown. Cook for an additional 5 minutes while constantly stirring. Eat this meal regularly throughout the week for at least 1 month. 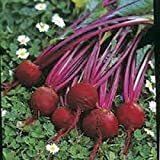 Beets, Early Wonder, Organic, NON-GMO, 25 per package, Early Wonder has it all they are tasty, abundant greens, flavorful beets. Early Wonder has it all: tasty, abundant greens, flavorful beets, and early production. Beetroot is great for inexperienced gardeners and those that like low maintainance gardens. Healthy method of obtaining Vitamin B folate, B1, B2, B6, B12, as well as Vitamin C.
If you suffer from anemia caused by iron deficiency, beetroot is one of the best treatments you can try. Beetroot is rich in all kinds of minerals and nutrients, such as calcium, potassium, or fiber. Furthermore, beetroot can also cleanse the body to allow better oxygen circulation, thus contributing to raising the red blood cell numbers. Take 1 medium-sized beetroot, three carrots, and 1/2 of a sweet potato. Add them all to a juicer and blend until you get a drinkable consistency. Drink this mixture once each day for several months. Pomegranate is one of the fruits that make great home remedies for anemia. It has a high percentage of iron and vitamin C, the latter which boosts the iron absorption of the body. Thus, this allows for a growth in red cells and hemoglobin levels. You can easily earn the benefits by eating one pomegranate every day, but you may also alter with some recipes. 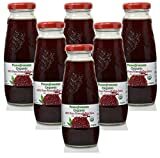 Pomegranate is also good for treating a strep throat. Take 1 cup of pomegranate juice and add 1/4 teaspoon of cinnamon powder and 2 teaspoons of honey. Stir everything thoroughly to incorporate the ingredients in a mixture. Have this drink every day in the morning. Keep this treatment up for the next 2-3 months. 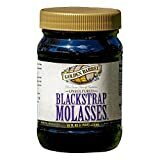 Blackstrap molasses is one of the most potent home remedies for anemia. This is because it contains a great number of minerals and nutrients that your body needs in order to fight against anemia. Iron, vitamin B12, and other minerals also help increase the number of red cells in your blood. Get 1 cup of hot water or milk. Add 1 tablespoon of blackstrap molasses. Consume this drink 1-2 times a day for the next few months. Ash gourd, also known as winter melon among many other names, is a powerhouse of nutrients that all effective home remedies for anemia should possess. There are also some rarer compounds such as riboflavin or niacin, both of which can contribute to better red cell production. Dry some ash gourd leaves and ash gourd fruit. Grind both of them until you get a powder. Add 1 teaspoon of the powder to a glass of buttermilk and stir thoroughly. Drink this solution daily for the best of results. Bananas contain a lot of iron, which is definitely good news for the people struggling with anemia induced by its deficiency. But they also contain other compounds that can contribute to the production of red cells and hemoglobin. Thus, bananas manage to combat two of the primary factors that end up causing anemia. Take 1 ripe banana, peel it, and then mash it. Mix with 1 tablespoon of Indian gooseberry juice and create a uniform paste. Eat this mixture 2-3 times a day for the following months. Both fenugreek leaves and seeds make excellent home remedies for anemia. 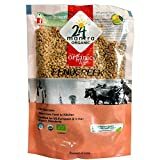 Fenugreek has a high concentration of iron and other minerals that contribute to extra production of hemoglobin and red cells. Boil 1 cup of rice together with 2 teaspoons of fenugreek seeds. Keep the heat to low-medium and boil the rice and seeds for 5 minutes. Cover for another 5 minutes and add some salt. Eat this meat daily for the next 2-3 weeks. 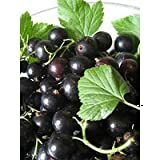 Black currant is yet another excellent natural home treatment that can help those suffering from anemia. Just like the other remedies on this list, it can keep the ailment under control by increasing production of red cells and by supplying your body with the minerals it needs. That is assured by the anti-inflammatory, antioxidant and antimicrobial properties of black currant berries. Hand-sorted and packed by Sidor family. Soak 10 black currants in a bowl of water overnight. Remove the seeds from the black currant the next morning and then consume them on an empty stomach. Maintain this habit for the next 3-4 weeks for the effects to start kicking in. Our wildflower honey is darker in color than our clover honey. Honey color and flavor varies depending on the flowers visited by the honey bees. Honey does not spoil, it will darken in color and naturally crystallize, but remains safe for consumption. Honey is a wonderful kitchen ingredient that can help with a number of health issues, including anemia. It is packed with iron, manganese, copper, and other nutrients which boost production of hemoglobin. Therefore, honey is one of the most natural and effective home remedies for anemia. Mix together 1 tablespoon of honey with 1 tablespoon apple cider vinegar. Add 1 tablespoon lemon juice and mix. Consume this concoction on a daily basis for the next few weeks until your symptoms gradually submerge. 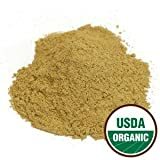 Yellow dock root can really help your body absorb iron more efficiently. 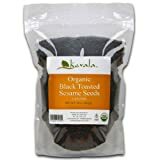 By mixing it with other herbs rich in iron, you can prepare a remedy that will really help you alleviate some of the most major symptoms of anemia. Yellow dock root is definitely one of the lesser known home remedies for anemia, but it’s incredibly effective. Put 1 teaspoon yellow dock root powder in a large soup pot with 5-6 cups of water. 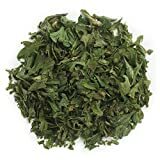 Add 1 teaspoon stinging nettle, 1 teaspoon peony root, 1 teaspoon Dang Gui, and 1 teaspoon red clover. Bring to a boil, reduce heat, and then let simmer for 30-45 minutes. Cover with a lid and stir every few minutes. Remove from heat and then add 2-3 tablespoons of molasses. Dates can cover a significant percentage of your necessary daily intake of iron. But above that, dates also contain plenty of copper, which is a compound that your body really needs in order to produce more red cells. Soak 2 dry dates in a glass of milk and leave them overnight. Eat the dates and drink the milk the next morning. Repeat this process 3-4 times a week. *You may swap milk for hot water in case you’re lactose intolerant. 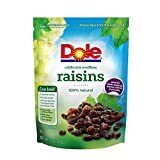 Raisins are powerhouses of nutrients and potent anti-anemia compounds such as magnesium, iron, sodium, potassium, fiber, and more. Eating around 1/2 cup of raisins daily is going to help you fill in the gaps causing the anemic symptoms. However, you may also try the recipe below to reduce some of the taste of the raisins in case you find it too strong. Raisins are also found on our home remedies for constipation list. Soak 10-15 raisins in 1/2 cup of water and leave them in overnight. Mash the soaked raisins the next morning and add in a little bit of honey. Consume this every day for several weeks. Comes in a Convenient 1 Lb pouch bag with zipper. Anemia caused by iron deficiency has really found an enemy in sesame. One quarter of a cup of sesame seeds covers approximately thirty percent of your necessary daily intake of iron. As a result, regularly consuming sesame seeds is going to help you fill in these gaps and alleviate the symptoms of this condition, and it can also work as a remedy for shoulder pain. Take 2 tablespoons of black sesame seeds and then soak them in a bowl of water for 2-3 hours. Strain and then grind the seeds to create a paste. Add 1 tablespoons of honey to create a more flavorful mixture. Consume this mixture every day to start seeing the results you desire. Bottle gourd is another ingredient that you can include in your daily diet in order to help keep anemia and its unpleasant symptoms under control. It’s rich in iron and other minerals that will boost production of red blood cells. Take 1 bottle gourd, 1/2 cup of beetroot, and 1 cup of spinach. Chop them all and then place in a saucepan filled with water over medium heat. Cover with a lid when the water starts boiling and let the veggies cook for a few minutes. Remove from heat, season accordingly, and eat. Have this meal several times a week. Parsley contains numerous minerals and vitamins, including iron and vitamin C. Your body needs iron to fend off symptoms such as dizziness or fatigue. Likewise, vitamin C helps your body absorb iron from foods quicker and in a more effective way. With that in mind, parsley is definitely among some of the best home remedies for anemia in adults. Anemia is a serious, yet sadly common condition. Fortunately, you can help keep it under control and alleviate some of its most unpleasant symptoms. Once you’ve consulted a doctor about a proper treatment, you can help boost the feel-good effects of the medicine by using one of the home remedies for anemia we’ve recommended. Which one of the above is your go to remedy for anemia? Let us know in a comment below!